The Cleveland Monsters qualified for the 2019 Calder Cup Playoffs with their road win over the Toronto Marlies Sunday. 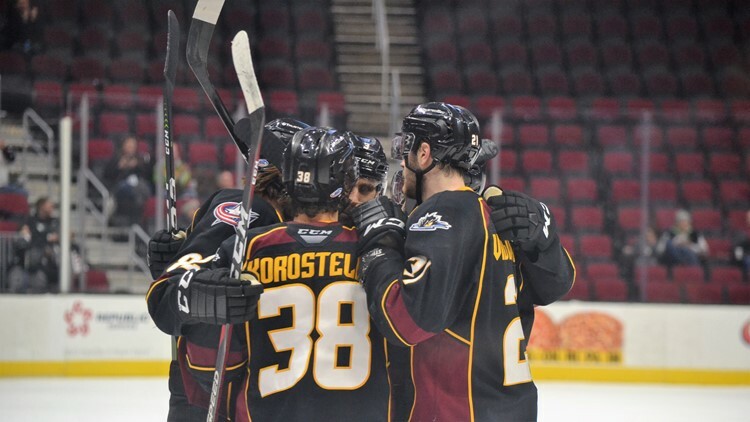 CLEVELAND — For the third time in franchise history, the Cleveland Monsters are playoff-bound. Courtesy of a 5-1 win over the Toronto Marlies at Coca Cola Coliseum in Toronto and a Belleville Senators loss to the Rochester Americans Sunday, the Monsters earned their return trip to the Calder Cup Playoffs in the American Hockey League. The Monsters (37-29-8, 84 points) and Senators (37-31-3, 82 points) entered Sunday tied in points, but when Belleville lost its home finale against Rochester, the door opened for Cleveland to get into the postseason. All the Monsters needed to claim their third-ever postseason berth was one point in an overtime/shootout loss or win of any kind. After a scoreless first period, the Monsters scored three times in the second. Center Zac Dalpe got the scoring started just 20 seconds into the second period, and after Toronto, Cleveland needed just 45 seconds to go back in front for good when veteran forward/alternate captain Mark Letestu tallied his 21st goal of the season. Defenseman Doyle Somerby tallied Cleveland’s third goal of the second period. Centers Justin Scott and Derek Barach added goals for the Monsters in quick succession in the early part of the third period. The Monsters outshot the Marlies, 41-18, in the regulation win, and goaltender Brad Thiessen turned away 17 of the 18 shots he faced in the game. 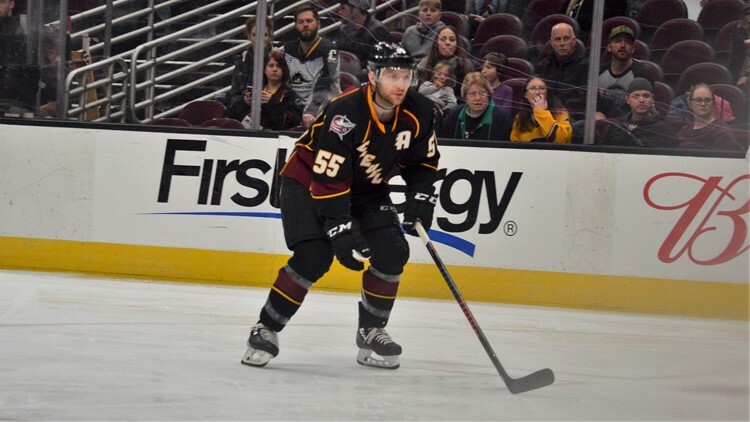 Veteran center Mark Letestu scored one of five goals in the Cleveland Monsters' 5-1 win over the Toronto Marlies Sunday. The Monsters earned the No. 4 seed in the North Division and will take on the No. 1 team, the Syracuse Crunch, in the first round of the Calder Cup Playoffs. The Monsters and Crunch will play a best-of-five series in the division semifinals with the winner advancing to face either Rochester or Toronto in the division finals. The Monsters begin their quest for the Calder Cup in Syracuse for Games 1 and 2 on Friday, April 19 and Saturday, April 20, respectively. The series will shift to Cleveland for Game 3 on Tuesday, April 23, and if necessary, Game 4 on Thursday, April 25. Currently, Cleveland and Syracuse’s NHL affiliates, the Columbus Blue Jackets and Tampa Bay Lightning, are in the midst of a best-of-seven first-round series in the Stanley Cup Playoffs. Cleveland Monsters center Kevin Stenlund fires a shot toward the net against the Chicago Wolves at Quicken Loans Arena in Cleveland. The last time the Monsters made the postseason came after the 2015-2016 season, and they went on to win the Calder Cup Championship in dominant fashion. After sweeping the Rockford IceHogs, 3-0, in the first round, the Monsters fought their way to a 4-2 series win over the Grand Rapids Griffins in the second round. Then, the Monsters went on to sweep the Ontario Reign in the Western Conference Finals and Hershey Bears in the Calder Cup Finals. 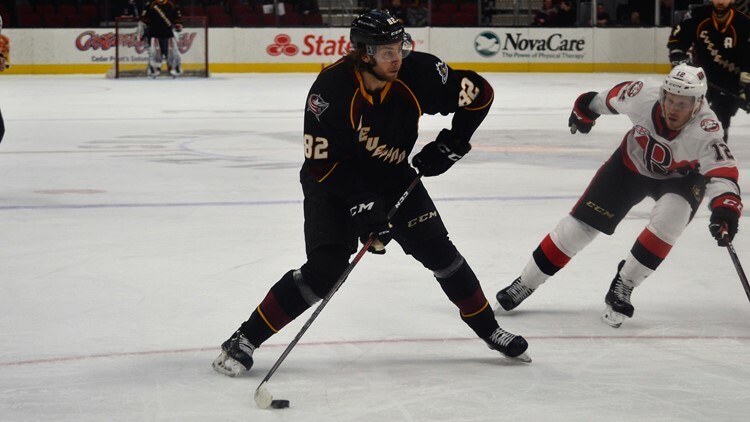 Some of the key players on the Monsters’ Calder Cup Championship team, forwards Oliver Bjorkstrand and Josh Anderson, and defenseman Zach Werenski, now are major contributors for the Blue Jackets.